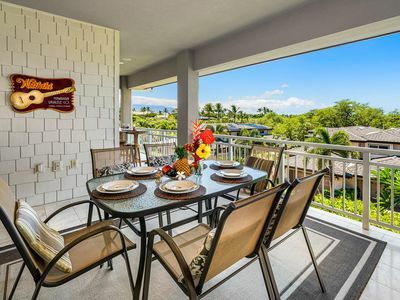 Enjoy urban sophistication in a tropical setting from our top-floor, corner oceanview condo in the Waikoloa Beach Resort on the Big Island of Hawai'i. 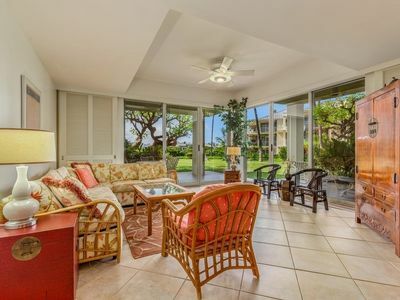 Sunlight fills the space and the lanai faces west, providing a shaded breakfast area during the heat of the day, and fantastic sunsets as the evening breezes rise. Simply put, this is the Vista's best view. 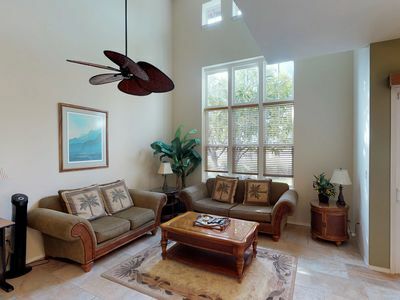 Inside, you'll experience a level of luxurious and harmonious design rarely found in vacation rentals. 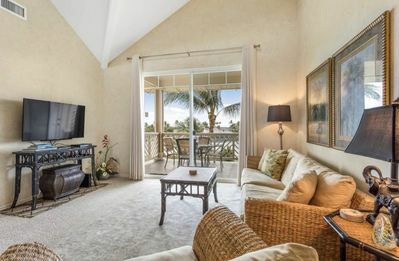 High-end integrated appliances in the kitchen, rich chocolate hardwood plank flooring and platform beds, down duvets and pillows, a stand-alone spoon tub and two walk-in rainshowers, two plasma HDTVs, and a gorgeous sound system all conspire to relax and indulge the guest. The master suite has a king bed, the guest bedroom has a queen, and the sleeper sofa is full-size; all mattresses have memory-foam toppers. 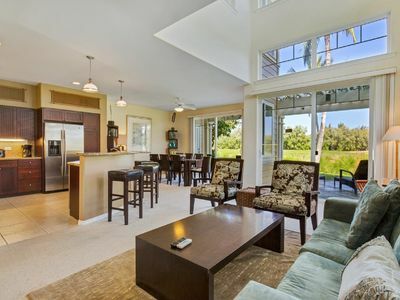 A floor plan (1602 square feet total, including 340 square feet exterior) with generous public spaces makes sharing good times easy--at the breakfast counter, at the formal dining table, chilling on the plush sectional sleeper or chaise in the living room, or on the lanai's chaises or dining table. 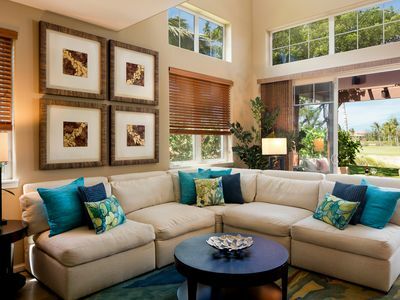 After a back-to-the-studs, down-to-the-slab remodel, A301's transformation is now complete! We brought our kitchen and baths back to their framing and down to the slab, and then rebuilt to our ideal. These all-new, lavishly and thoughtfully appointed rooms complement our earlier upgrades to the bedrooms and living areas. 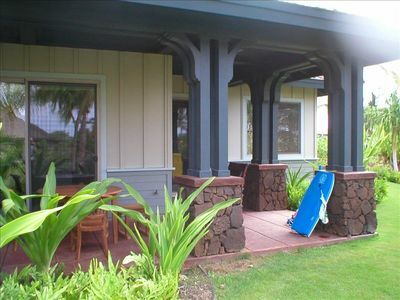 Must-see photos at our website, Big Island Bliss! 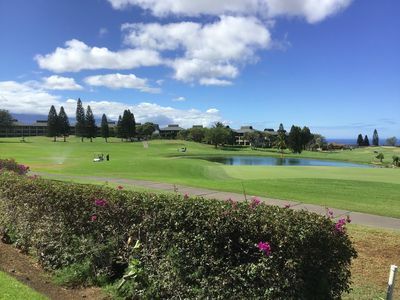 The Vista Waikoloa has a fenced three-lane pool with two spas, a barbecue pavilion and a well-equipped workout room. 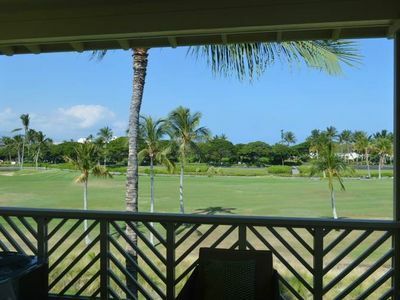 The Vista is a charter development of the Waikoloa Beach Resort, and so enjoys some its most-favored frontage, across the drive from and between the Hilton Waikoloa and the Waikoloa Beach Marriott. The beach at A-Bay and the restaurants of the King's and Queen's Shops are just a 10 minute walk away. 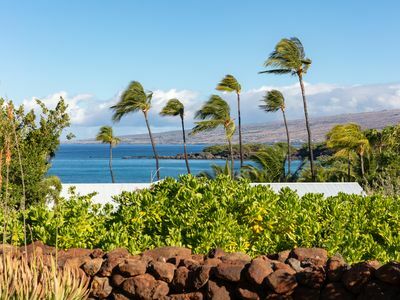 This tiny pocket of the Kohala Coast enjoys the best weather on the islands: with less than 10 inches of rain annually, the winds and water are often calm in the morning, giving way to breezes in the evening as the cool descends from Mauna Kea. Temperatures commonly top out at 81 degrees F (27C) Sept-May, and 84 degrees F (29C) June-August, before the breezes descend in late afternoon. We are within a fifteen-minute drive of the state's loveliest beaches. 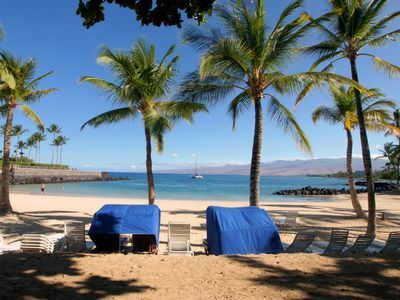 There may be some winter surf at these beaches, and we have a couple of boogie boards ready for use on the lana'i. 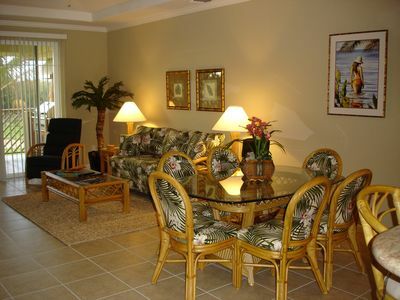 We also supply coolers, beach chairs, snorkeling set-ups and pool toys for our guests. 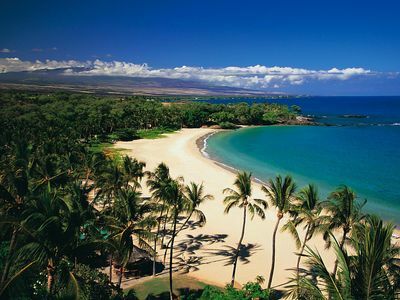 The abundance of sea life on the Kona Coast makes the island a world-class dive and snorkeling destination. The whales may be in during your stay — look for mother-calf pairs cavorting in A-Bay while you enjoy your breakfast on the lanai (Dec-April). 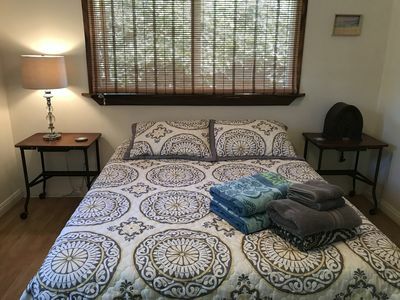 One of the Big Island's many pleasures is its innocence -- beyond the resort areas, it's far less cosmopolitan than Oahu or Maui, and far less traveled. 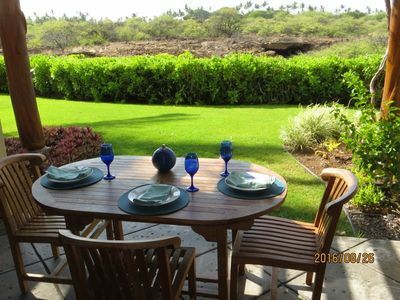 You can make a day of discovering little beaches to call your own, you can get out in the country and be with real people very quickly, and there are many sacred sites to visit -- it's a more spiritual, less commercial Hawai'ian experience. There's still plenty of Old Hawai'i here. It's also incredibly diverse, geographically: with 8 of the planet’s 13 biomes represented, you can almost pinpoint the transition from 'dry side' / Kona lava field to 'wet side' / Hilo rain forest as you venture afield. 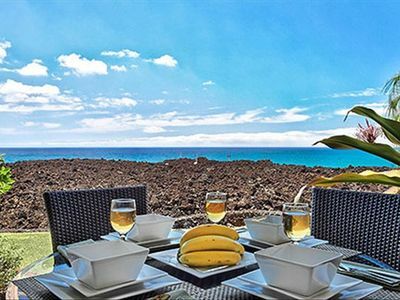 A301 is an ideal base from which to explore the incredible diversity of the Big Island. You'll probably want a rental car, and might need AWD or 4WD if you choose to off-road and explore some of the more remote beaches or challenging mountain roads. 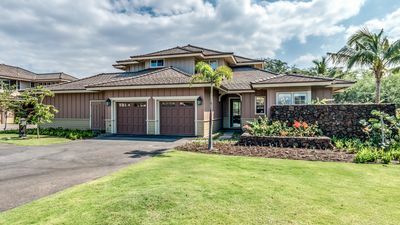 After a day of diving with the garden eels off the Kona Coast, or sunning and snorkeling at Hapuna Beach or tidepooling at Puako, or playing 18 holes at the Big Island Country Club course, raise the perfect Mai Tai and share the magic as you savor the sunset from our large, wraparound lanai. 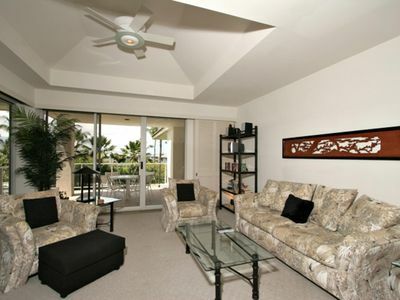 An ideal spot for romance, retreat or recharging, please consider Vista Waikoloa A301. 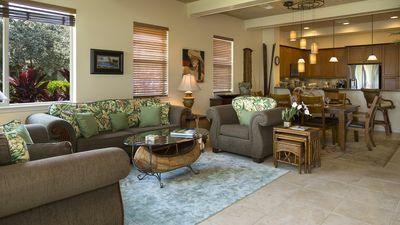 VISTA WAIKOLOA #E105 - Ground floor, upgraded 2/2 - 5th Night Free Special! 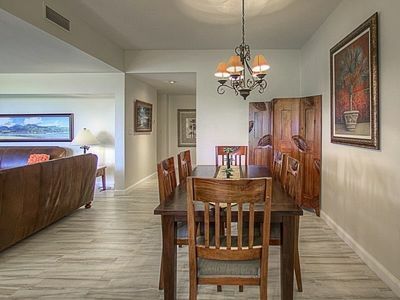 ONE OF THE NEWEST LUXURY TOWNHOUSES TEMPORARY SPECIAL OFFER $275/NT!! !